Head of the Gaza Fishermen Syndicate, Amjad al-Shrafi, said that the Israeli navy on Monday arrested two Palestinian fishermen off northern Gaza shore, seized their boat, and took them to an unknown destination, according to Wafa. 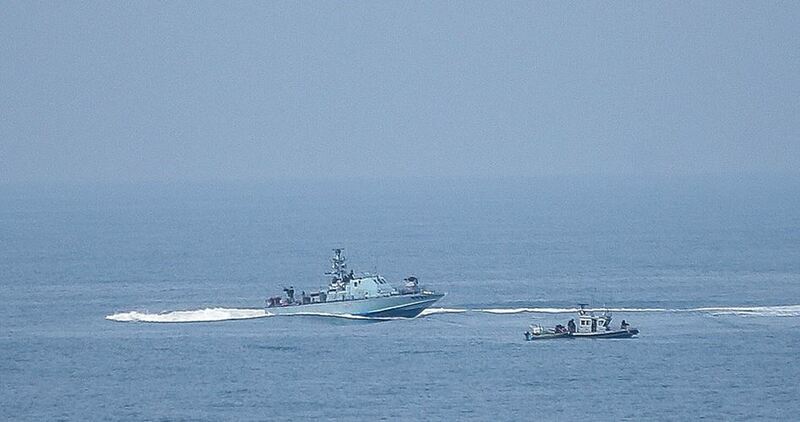 Shrafi added that the two fishermen, Hasan and Ahmad Miqdad, were injured while being chased by the Israeli navy forces. Activist Zakaria Baker said that the Israeli navy gunboats on Monday afternoon confiscated Hasan Miqdad's fishing boat and arrested him along with his brother Ahmad off the coast of al-Sudaniyya area in the northern Gaza Strip. Quds Press reported, quoting Baker, that the attack was accompanied by heavy firing of live bullets. The Israeli navy's daily targeting of Gazan fishermen has not stopped even after the signing of the Egypt-sponsored ceasefire agreement between the Palestinian resistance and the Israeli occupation on 26th August 2014. Nearly 125 Palestinian fishermen were arrested in 2016. Three fishermen were detained after being shot. Two fishermen were killed during the same year, one of whom is still missing, and dozens were injured. Israeli settlers ruined on Monday morning a water pipe used by Palestinian farmers in the village of Sakout, in the northern Jordan Valley, according to a local official. In a press statement, the official of settlement in the area Mutaz Besharat said a group of settlers escorted by Israeli forces destroyed the water pipe that was recently installed by Palestinian farmers in the area to irrigate their crops. The village is located in Area C of the West Bank, which is under full Israeli military and administrative control. Palestinian residents in that area are often harassed and attacked by Israeli settlers, who repeatedly carry out their violations in the presence of Israeli military forces. Israeli practices in the Jordan Valley are aimed at pushing the Palestinians out of the Jordan Valley district using all means in order to replace them with Jewish settlers. 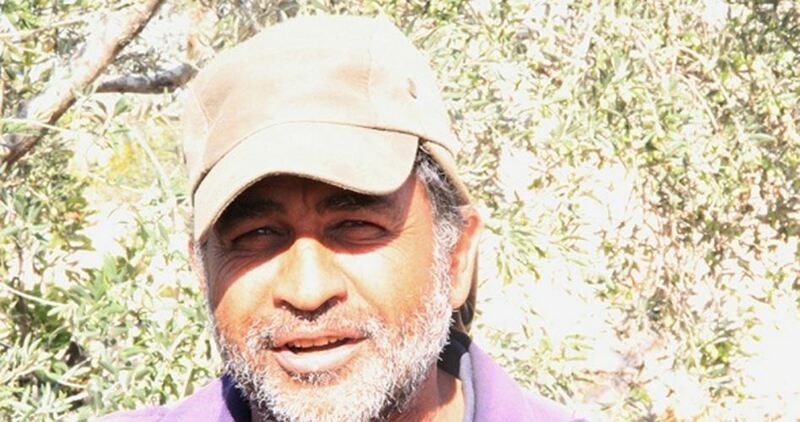 With a sigh of sadness, Palestinian farmer Abdullah Mar’ee looked at his annexed plot of land in Farkha village, west of Salfit, which was once an olive grove before Israel took it over along with other vast tracts of Palestinian land and built large factories in their place. “We planted olive saplings on 25 dunums of land in Karm Ashour area, west of Salfit, and we were happy with them, especially when we saw them starting to yield olive fruits of the Nabali type, but all of a sudden, the settlement of Ariel encroached on our land,” Abu Mar’ee said. “They built a factory for cosmetics, another for sweets and a huge iron plant, and their bulldozers are still embarking on razing more lands belonging to us and others,” he added. The farmer also accused the Israeli army of suppressing marches protesting Israel’s settlement activities and land grabs in the agricultural areas of Salfit. “The occupation already quelled marches and some farmers protested near Beit El, but to no avail. They claim they are state lands and sometimes they provide security pretexts or say those lands are located in Area C to justify the annexation of Palestinian lands,” Mar’ee stated. For his part, specialist in settlement affairs Khalid Maali has also affirmed that the industrial zone of Ariel settlement in Salfit is encroaching and expanding around the clock. According to him, there are three industrial zones established on agricultural and pastoral lands belonging to local residents in Salfit province. 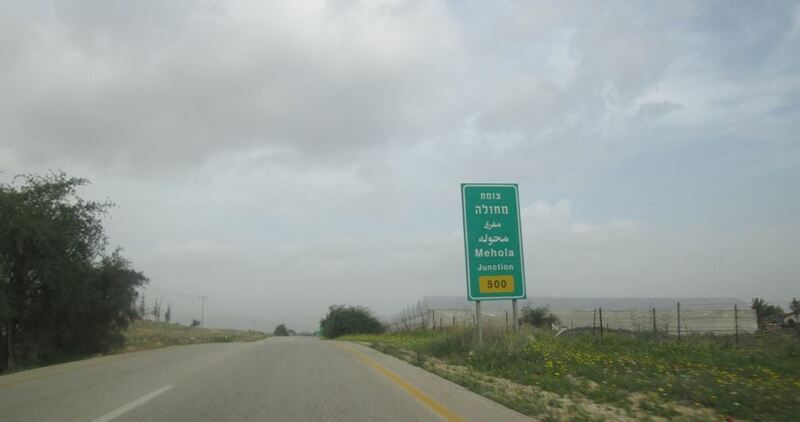 The Israeli authorities also plan to seize more Palestinian lands in Salfit to expand its industrial zones and build others, with no regard to the negative impacts of its settlement expansion on the lives of local residents, Maali warns. 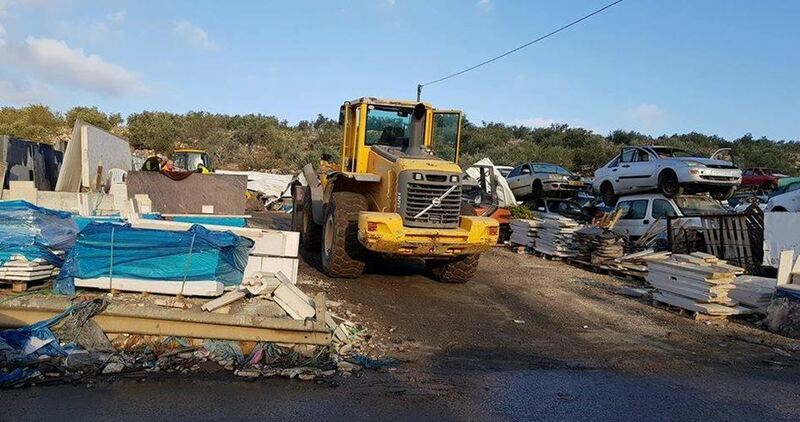 Israeli Occupation Forces (IOF) demolished on Tuesday morning five commercial facilities in Barta al-Sharqiya town which is isolated behind the Israeli Separation Wall in Jenin province. 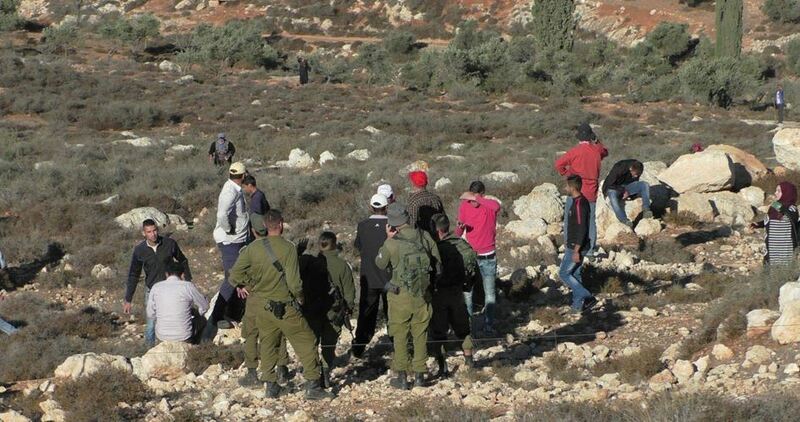 IOF soldiers interrogated shop owners in the field. Local sources told the PIC reporter that the razed structures included quarry workshops as well as automobile repair shops in the town. Several extremist Israeli colonists opened fire, on Monday morning, at many Palestinians picking their olive orchards, in Masafer Yatta area, south of Hebron, in the southern part of the occupied West Bank. Rateb Jabour, a nonviolent activist against Israeli colonies in Hebron, said the colonists came from Ma’on illegal colony, which was installed on private Palestinian lands. Jabour added that the assailants fired several live rounds at Palestinians picking their olive trees, in their own lands, in the al-Hamra area, near the at-Tiwani Palestinian village, close to the illegal colony. He also said that, although the Israeli attack did not lead to any physical injuries, it caused anxiety attacks among the Palestinians who feared further violations. The colonists in Ma’on carry out repeated invasions into nearby Palestinian lands and orchards, in addition to frequent assaults against the residents, including farmers and shepherds, to force them out of their lands. The attacks witness a serious escalation during the olive harvest season, and include cutting and uprooting trees, in addition to harvesting the them and stealing the produce. 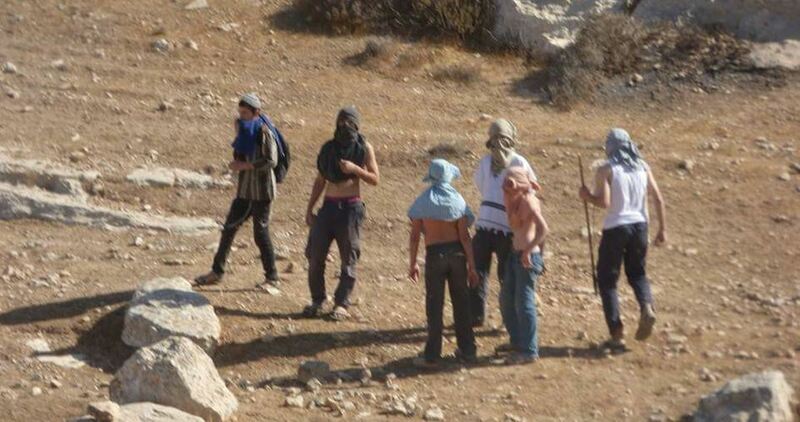 A group of Israeli settlers, escorted by the Israeli occupation forces (IOF), on Sunday attacked a number of Palestinian farmers and foreign peace activists who were picking olives near the city of Nablus. The Palestinian activist Myassar Atiani told Quds Press that the settlers coming from the nearby Eli settlement and the IOF soldiers assaulted the olive pickers and confiscated the IDs of the Palestinian farmers and the passports of the foreign activists. Atiani pointed out that the IOF soldiers, after examining the confiscated documents, informed the foreign activists that they are not allowed to enter the area again; however, the activists rejected the decision saying that they will continue to help and support the Palestinian farmers. A similar attack was recorded in the same area on Saturday in which a number of Palestinian farmers and foreign peace activists were injured. According to anti-settlement activists, Palestinian farmers yearly suffer heavy losses because of the settlers' attacks which are usually escalated during the annual olive harvest season to force the farmers to leave their lands so that they become an easy target for settlement projects. The West Bank and Gaza Strip have nearly 8.5 million olive trees, according to the Palestinian Ministry of Agriculture which said that the sales of olive crops and olive oil constitute 1% of the national income. The Palestinian Ministry of Foreign Affairs has strongly denounced the settlers’ persistence in attacking Palestinian citizens, their homes and their agricultural properties in the West Bank. 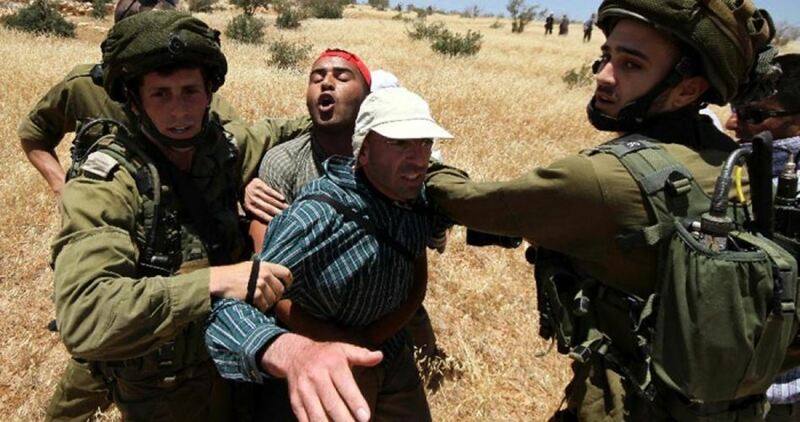 “The settlers, under the protection of the Israeli army, persist in their attacks and provocative actions, especially their assaults on farmers, their stealing of olive fruits and the burning of trees,” the ministry stated in a press release on Saturday. 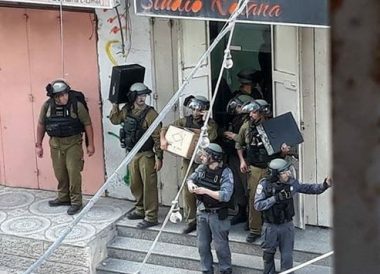 “They also continue to occupy Palestinian houses every once in a while and attack homes and lands in the Jordan Valley and West Bank villages, especially those in isolated areas,” the ministry added. It also accused settlers of having stolen olive fruits from about 6,000 trees since the beginning of the harvest season, in addition to the destruction of hundreds of fruitful trees of different types. 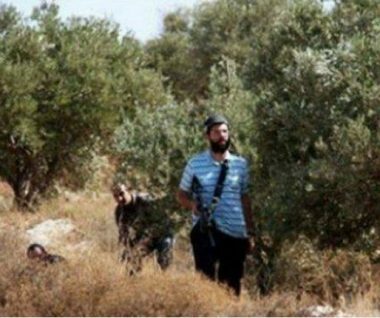 In yet another attack, one of the numerous invasions and violations, a group of extremist Israeli colonists invaded, Sunday, Palestinian olive orchards owned by villagers of Jeet, east of the northern West Bank city of Qalqilia, and harvested dozens of trees, stole the produce, and sprayed many trees with toxins. The Israeli assailants, who came from the illegal Kidumim colony, which was built on private Palestinian lands, also cut many trees. Lawyer Omar Yameen, an owner of an orchard in the area, said he was shocked to see the destruction caused by the colonists to his land, especially since the attackers illegally harvested his trees, and then sprayed them with chemicals. He added that one of the colonists, who illegally lives in an RV near his land, has also flooded the orchard with sewage water. Yameen stated that these violations aim at the destroying the only source of livelihood to dozens of families, to force them out and illegally annex their lands. The orchards are isolated behind the Annexation Wall, and the Israeli authorities only granted the Palestinians four days to pick their olive trees, which is not enough to harvest them. The villagers in Jeet own more than 500 dunams of lands that became isolated behind the wall, but Israel only allowed them into their orchards during the olive harvest season, under very strict conditions, while the colonists have an easy, unrestricted access. 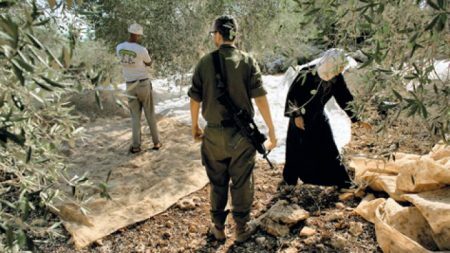 Israeli soldiers invaded, Saturday, Palestinian olive orchards in the Sawiya village, close to an illegal Israeli colony, south of the northern West Bank city of Nablus, and attacked a woman and an international peace activist, harvesting olive trees. 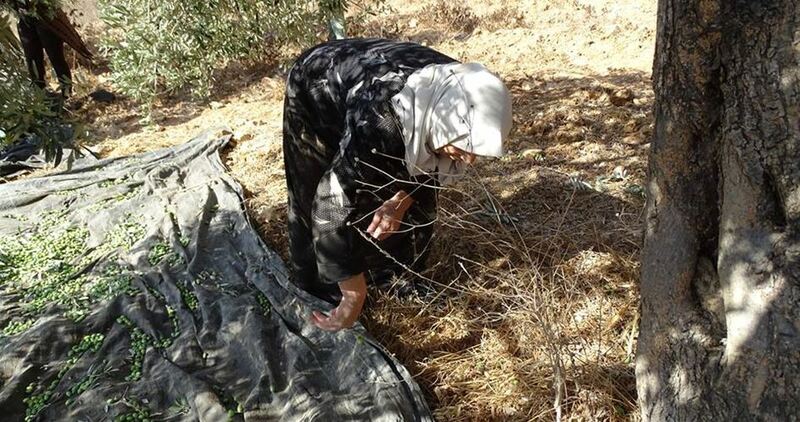 The soldiers attacked a woman, identified as Rana al-Barq, and an international peace activist, who were volunteering to help villagers pick their olive trees in their orchards, close to Alei illegal colony. The soldiers also attempted to detain the international activist, but the locals managed to stop them. Israeli colonists invaded, on Saturday at dawn, a Palestinian olive orchard, owned by a villager from ‘Awarta, east of the northern West Bank city of Nablus, and harvested many trees before steeling the produce. 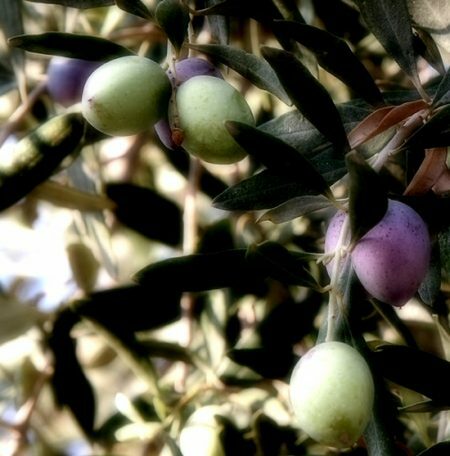 The colonists invaded a Palestinian olive orchard, located near the main entrance of Itamar colony, which was built on illegally confiscated Palestinian lands, and harvested many olive trees. Ghassan Daghlas, a Palestinian Authority official in charge of monitoring Israeli settlement policies, said the invaded orchard is owned by Ata Darwish, from ‘Awatra, and contains 420 olive trees. Daghlas added that the attack is part of numerous similar violations, which witnessed a serious escalation this year. 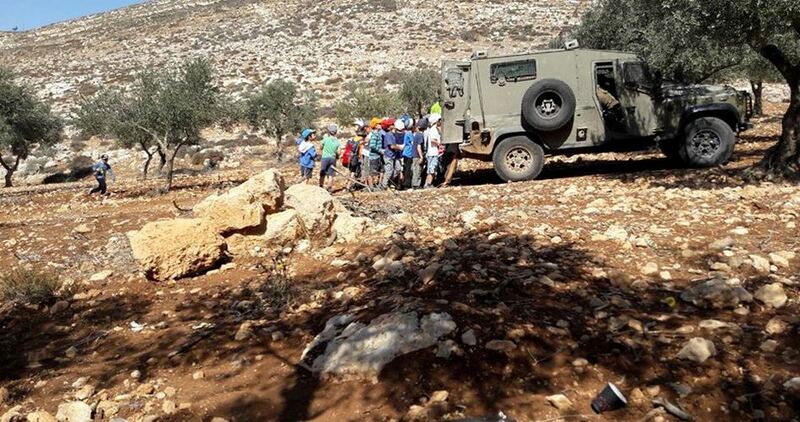 Israeli settlers attacked, on Friday, Palestinian olive pickers in the Masafer Yatta area, to the south of Hebron, occupied West Bank, said a local activist. 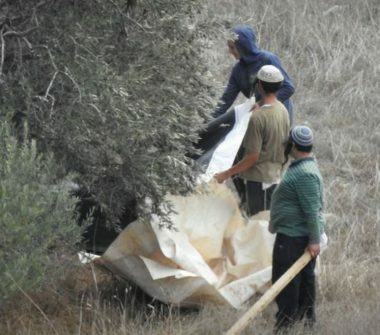 Anti-settlement activist, Rateb al-Jabour, told WAFA that settlers from the settlement of Ma’on, built illegally on Yatta town land, physically attacked farmers harvesting their olives in Masafer Yatta area, causing them, including a woman, cuts and bruises throughout their bodies. Settlers regularly attack Palestinian farmers during the annual olive harvest season, and either steal their crops or prevent them from reaching their lands, in addition to destroying or cutting down olive trees. Solidarity groups usually accompany farmers as they harvest in land near the settlements, to shield them from settler attacks. The olive harvest season is considered the most important for thousands of Palestinian families in the Israeli-occupied territories, due to its contribution to the families’ income bracket. 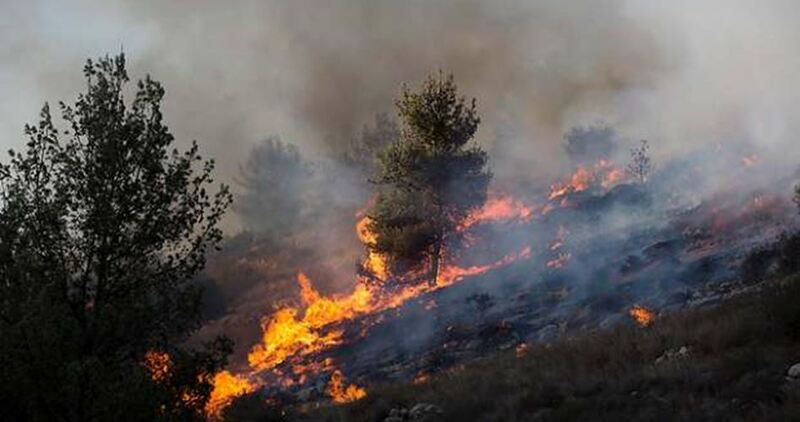 Over 900 dunums of Palestinian lands have been burned to a crisp due to wildfires that broke out in Occupied Jerusalem afternoon on Thursday. The raging fires burst out across hundreds of dunums on the mountains of Jerusalem’s village of Staf, home to thousands of fruitful trees planted decades ago. 30 Israeli firefighter crews rushed to the area to extinguish the fire after they closed off the main access roads to the village. The firefighters have remained on the alert for fear that the mountains burst into flames again. The Israeli occupation forces at daybreak Thursday demolished a Palestinian house in Kirbet Yanoun, south of Nablus, at the same time as Israeli settlers attacked Palestinian olive pickers. According to Ghassan Daghlas, who monitors Israeli activities in the north of the occupied West Bank, the Israeli army has been holding military training in the area over the past few days and during this time has demolished the house that belonged to Udwan Bani Jaber. It was not immediately known how the house was demolished, added Daghlas, stressing that the owner has never received demolition order against it. Daghlas said Bani Jaber was forced to abandon his 100-square meter house in 2013 following repeated attacks against him and his family by Israeli settlers in the area. 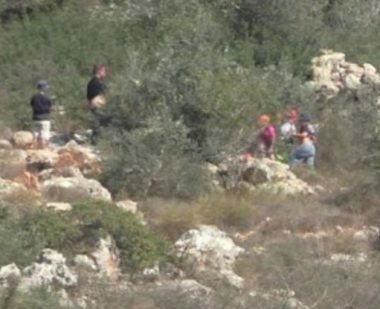 At the same time, Israeli settlers attacked three Palestinian families while picking olives in Nablus’s eastern town of Deir al-Hatab town, near Elon Moreh illegal settlement.